Can your give me a quote over the phone? Firstly don’t be fooled into special offers 4 rooms cleaned at £50, rarley this is the price you pay on the day. It is impossible for a reputable carpet cleaner or cleaner to give an honest quote over the phone and also for you to assess them. Moreover low costs means low power cold water machines and undesirable chemicals if any that soak the carpet for days. 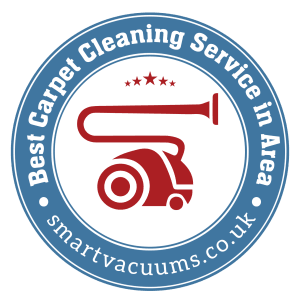 It is advised that Carpet Doctors technicians be on site for the final quote per square metre (m2) due to condition of the floor or upholstery, and level and type of soiling of carpet/upholstery, this is to get the true picture of spoilage and pre-treatment needed, as well as the actual size of rooms, stairs, hallway etc as sometimes this can be very much misrepresented over the phone. We can give you an in-between quote via pictures sent to us via our email [email protected], then give you the final quote on site. Call us on 07878984295. Have I got to do anything before the carpet clean? Yes It is best to hoover and clear the floor of any small or large items, and clear large furniture, the technicians will not move larger furniture as this may incur extra charges. Even though the technicians have an industrial hoover your carpet should be recently hoovered before we add biodegradable pre-spray solution. The pre-spray treatment breaks down soiling and spots (impurities) within the carpet or upholstery before the actual hot rinsing and steam cleaning. Our technicians are highly professionals and only use professional cleaning solutions to achieve the best results possible. All cleans includes deodorisers, an Eco freindly Microsplitter spotter solution, and spot stain removers. However unknown or aged or set stains cannot be guaranteed to be removed. Even though it is fine to walk on the carpets the drying time is between 2 and 4 hours, depending on the level of soiling and temperature of environment.